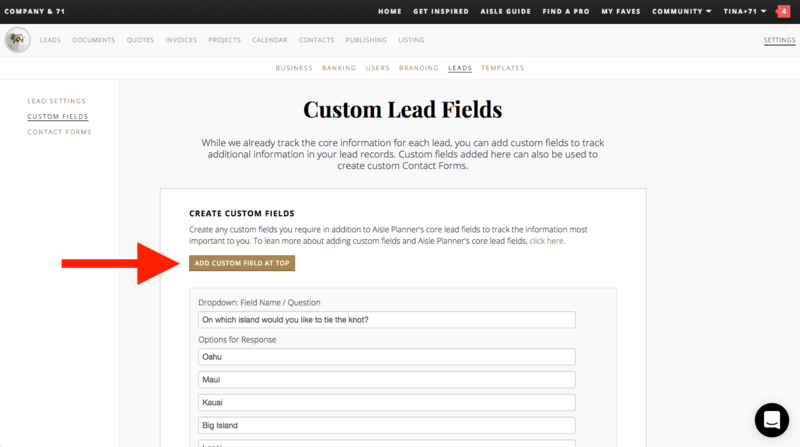 While we already include fields to track core information for each lead, you can add custom fields to your lead records so that you can track any additional information that's important to you. We'll walk you through the basics in this short tutorial. What Core Fields Are Already Included In Each Lead Record? 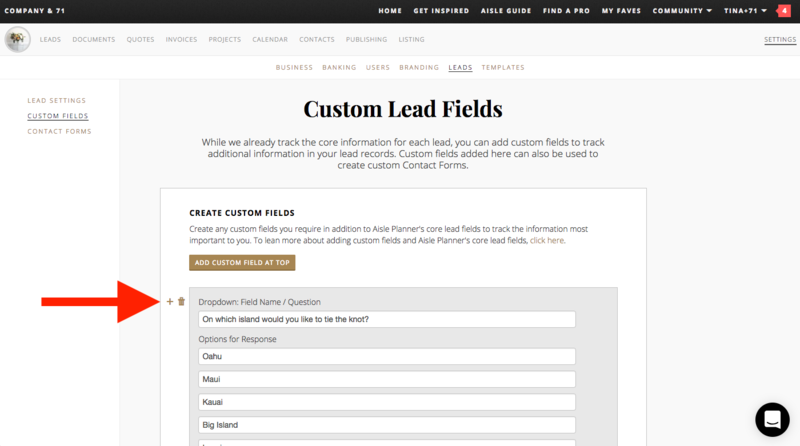 Where Can I Manage My Custom Lead Fields? To add or manage your custom fields, head on over to the Settings tab towards the top right of your pro dashboard, and click into the Leads tab toward the top. From there, you'll see Custom Fields as an option in the left hand navigation. Once you've added your first custom field, you can add additional custom fields at the top of your list by clicking on the gold Add Custom Field At Top button. If you'd like to add custom fields below any existing custom field, hover over the custom field and click on the gold + sign that appears on hover. This will add a new custom field just below. To delete a custom field, hover over the item, then click on the gold trash can icon that appears to the left of the custom field. Please note, deleting a custom field will remove this field from all of your existing lead records, even if you've already added information into that field in each of your lead records. Deleting custom fields will NOT remove this field from any custom Contact Forms that you've created, so we recommend that anytime you delete a custom field, check your custom contact forms to ensure that you've removed any deleted fields from each of your forms as well. To revise a custom field, click on the custom field and edit. Please note, revising a custom field (such as editing the title or question) will only affect / update unanswered fields in each of your lead records.